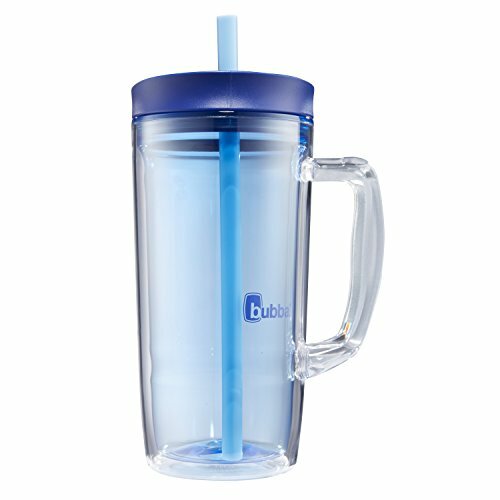 The Bubba 32-Ounce Envy Mug (Blue) is designed for personal use and is perfect for at home, at work or on the beach. Holding 4 cups, it's the perfect size to keep you hydrated without refilling or for a quick trip to the beach, pool or park. Dual-wall insulation reduces condensation and keeps drinks colder longer. Eastman Tritan construction material makes this mug impact-, stain-, odor- and heat-resistant. It is BPA-free and insulates your drink to keep temperature transfer to a minimum.